Spot On Maids professional Scotch Plains maid service will ensure that your cleaning needs are adequately met. We bring you the peace of mind that you truly deserve by assigning our courteous maids to handle your Red Bank house keeper needs. We make use of high-quality materials while employing industry best practices to ensure a flawless service delivery. Spot On Maids Scotch Plains maid service comes in three different packages which could be weekly, bi-weekly or monthly. Whichever package you decide to go for, there are no hidden or extra charges; you get exactly what you pay for without taking a lucky dip on quality. We pride ourselves on the quality of service we render and this has continued to keep us at the front row of the commercial and residential Scotch Plains cleaning service industry. 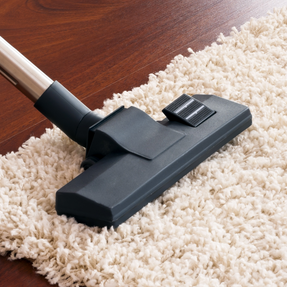 When you only want it to be clean, we go the extra mile to make your world spotless. Spot on Maids is offering House and Apartment Cleaning, Deep Cleaning and Office Cleaning, Move in and Move out Cleaning, and Post Construction Cleaning services in Scotch Plains. Operational in multiple areas, Spot on Maids will ensure that you get the best and most professional cleaning services all the time. Spot on Maids’ cleaning services in Scotch Plains will ensure that your cleaning needs are adequately met. I scheduled a move in clean for my new & empty home. I said them clearly what I wanted. The cleaners of Spot On Maids really did amazing work. They complete all the task with time and perfectly. Thanks a lot. Spot on Maids makes use of high-quality materials while utilizing the industry’s best practices. Our maids in Scotch Plains always arrive on time and are equipped with all the latest tools to clean your place thoroughly. Our maid services in Scotch Plains are available in many packages. The major ones comprise of payments based on weekly, bi-weekly, and monthly bases. At Spot on Maids, we always put in our utmost efforts to meet our customers’ cleaning needs with the help of our experienced and skilled employees. Whether it is a regular cleaning, occasional cleaning or move in and move out cleaning, you can trust the maid services provided by Spot on Maids. We assure one hundred percent satisfaction at all times.